Rabat - A blast inside a train at Parsons Green metro station in London was reported by news website Metro and relayed by other British media on Friday. 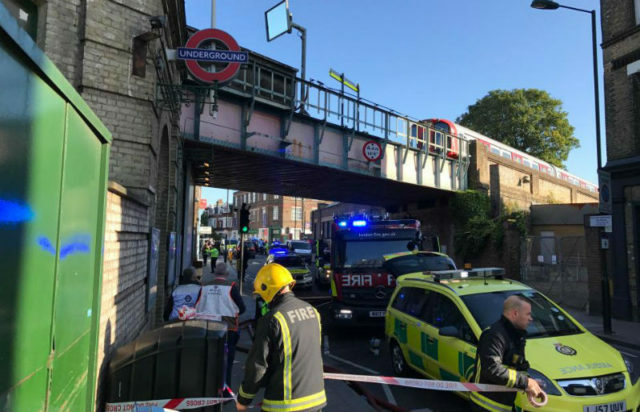 Rabat – A blast inside a train at Parsons Green metro station in London was reported by news website Metro and relayed by other British media on Friday. A unit of bomb squand and policemen rushed to the scene, according to Reuters, along with six ambulances, fire engines and a helicopter. A reporter of Metro said he saw people with facial burn. 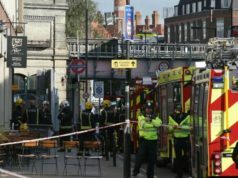 Media reporter other injuries took place during a stampede when commuters were trying to escape the explosion scene. Eyewitness said the explosion caused panic inside the train as people started screaming loudly. Police elements patrolled the area outisde the station while ambulances staff were attending to the injured. The city’s police announced on Twitter that they would release that facts regarding the incident when they are sure they are accurate. No speculation about a terrorist attack has been advanced yet. The incident comes at a time where Britain grew more worried of increased terrorism threat following four deadly attacks this year. 36 people were killed and many others injured in London , Manchester and New Castle between March and June in attacks carried by suspects loyal to radical Islamist groups and an anti-Muslim far-right activist. Following the attacks, the British government raised the terror level from “severe” to “critical”.